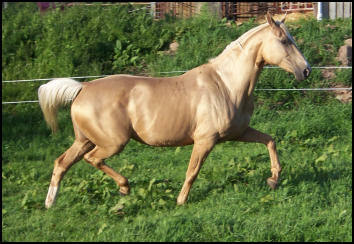 Arleta is rare Kinsky Warmblood from the Czech Republic. 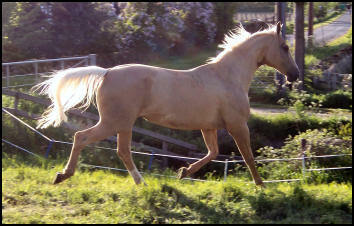 She is a very beautiful, elegant mare standing at over 16.2hh.She has excellent conformation, paces and jump. 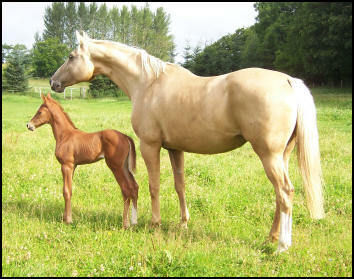 Both of her foals have been awarded First Premiums by Scottish Sporthorse. Arleta is typical of the Kinsky horses who were bred originally for racing. Kinsky horses in the past have won both the Grand National and the Pardubice. For further information visit the Equus Kinsky website. Arleta has Czech WB pink papers, registered Kinsky, SHBGB passport and SSH graded.